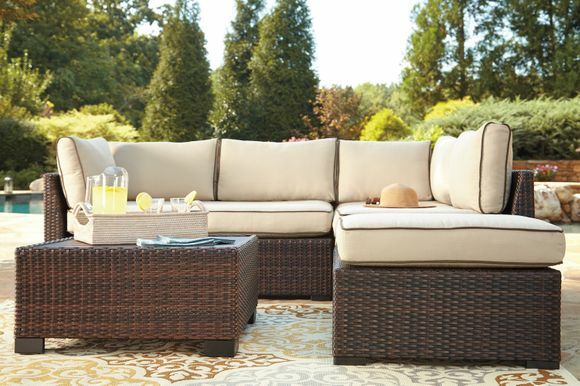 Outdoor wicker sectional made of rust free aluminum frame with resin wicker. The cushions are made with durable high performance Nuvella fabric. The seating collection can accommodate five people. The table has wood look resin top. The two piece loveseat sectional, ottoman and table ships in one carton. Minor assembly required.